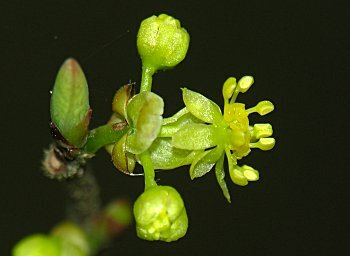 Bog Spicebush is a rare and poorly known shrub of pocosins and bogs in the Sandhills and adjacent areas in the Piedmont of North Carolina, where it is listed as endangered. 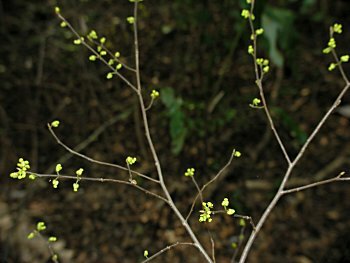 First described in 1983, it is similar to Lindera benzoin and other species of spicebush, but has thicker leaves, which are pubescent and glaucous (hairy and whitened) beneath and have rounded tips. 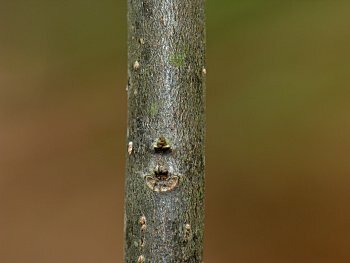 This shrub normally grows to about 6 feet tall and has an open habit. Weymouth Woods, Moore Co., NC 3/14/07. 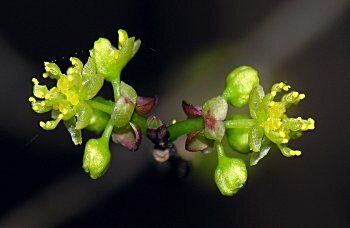 The flowers are small and yellowish.